When the members of Staind came together to write their latest album, "14 Shades of Grey," they had some big shoes to fill. Their sophomore effort "Break the Cycle" topped the charts and went quadruple platinum. But guitarist Mike Mushok said the band didn't really feel any pressure in making the new album; they just went about business as usual. "None of us expected `Break the Cycle' to sell as well as it did; that just doesn't happen very often," Mushok said. "We figured we were just going to write the best record that we could possibly write, then go out and do what we do. All you can ever do in anything is the best you feel you're capable of, and that's what we did." It seems to have worked. Though sales of "14 Shades of Grey" haven't been quite as brisk as "Break the Cycle," the album did debut at No. 1. The latest single "So Far Away" currently holds the No. 1 position on both the Billboard Mainstream Rock and Modern Rock charts. A big reason for that success, Mushok thinks, is that fans identify with Staind's songs. "I think (vocalist) Aaron (Lewis) writes lyrics that a lot of people can relate to," he said. "I've heard a lot of people say, `You said what I felt; you put it into these songs.' I think that's what touches people." Staind's major label debut "Dysfunction" was more metal than melody. But with the release of the breakthrough hit, the acoustic "Outside," recorded live in Biloxi, Miss., the band found another outlet for its angst. 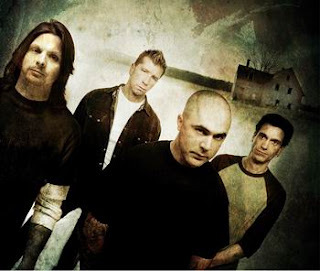 Likewise, the biggest hit from "Break the Cycle," was the acoustic "It's Been a While," and Staind continues to explore a lighter direction on "14 Shades of Grey" that's earned them critical acclaim. "In contrast with earlier albums, `Grey' is more light than dark," wrote USA Today's Edna Gunderson. "The new songs are sturdier and more melodic, and the band deserves credit for taking the sunny side of the street instead of the genre's low road to gloom wallows and celebrations of adolescent fixations." Mushok says the change was a natural one. He said, looking at the bands that made a big impact on the rock world - the Beatles, the Police, Led Zeppelin - they all had one thing in common. "I look at the music that I still listen to that's been around for a long time, and it all has great melodies," Mushok said. "That, to me, is what a good song is. It's something that has melody that, hopefully, someone can relate to and want to listen to again. I think that's one thing that has been around forever." The guitarist is also quite pleased with the package the band has put together for this tour. 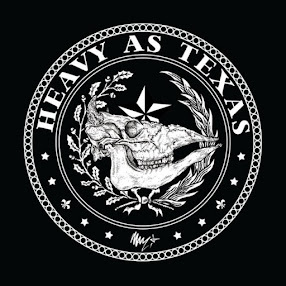 They've recruited old friends Sevendust, who they opened for once upon a time, and newcomers Lo-Pro, the first signing to Lewis' record label. "I'm a fan," he said. "I pretty much go out and watch every night and enjoy it every night. It's one of the benefits of being able to tour with bands you really like." Mushok admits it is a little strange to follow a band that they once opened for, but he said Staind enjoys the challenge and the camaraderie with old friends. "It's hard to go on after (Sevendust) because they put on such a great show," he said. "We've been wanting to go back out on tour together, but this is really the first occasion that we've been able to do it." As for Staind's live performance, Mushok said fans shouldn't expect a lot of bells and whistles. They prefer to let the music speak for itself. He said Staind's performance is an emotional one that should give fans a hint about where the songs come from. "We don't believe in a lot of production," he said. "It's really just us playing with lights, which to me is what a rock show is about. It's just about going out there and playing our songs for the people who came to hear them."